After 3.5 years of usage my old Sony Ericsson T610 phone suddenly started malfunctioning and I needed a new phone. I browsed online through some of Sony Ericsson's, Nokia's and Samsung's offerings but I couldn't really find a phone that fit my needs. But then I checked out some of HTC's phones and found the HTC S710. This Windows Mobile 6 based phone had lots of interesting features, including a 2 megapixel digital camera, a slideout QWERTY keyboard and WiFi support. The size of the S710 also pleased me, its candybar shaped design is barely bigger than my old phone. Not bad for a feature-packed Windows Mobile phone. I read a couple of reviews and most of them were pretty positive so I decided to order this phone from a webshop. The only thing I didn't really like is the limited storage capacity of the phone so I decided to order a 2GB SanDisk microSD memory card together with this phone. Two days later UPS delivered it at my doorstep. 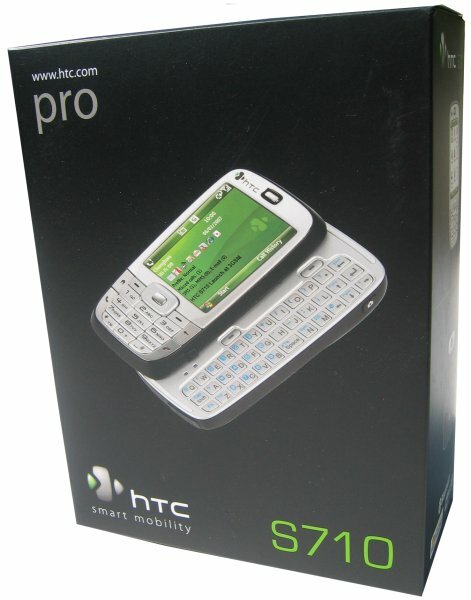 The S710 is made by a Taiwanese company called High Tech Computer (HTC). 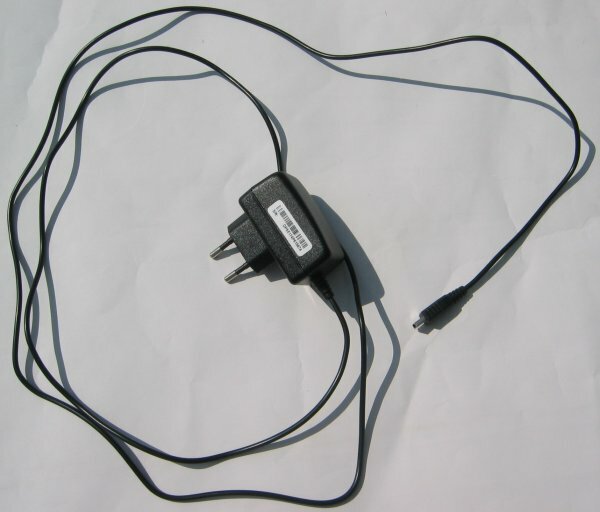 They were found in 1997 as an Original Design Manufacturer (ODM). This means they manufactured products to sell them to other companies who rebadged the product and launched it on the market as their own. Today HTC has a broad range of own-branded products but they still sell their phones to phone operators and OEM partners. You can buy the HTC S710 (codenamed HTC Vox) in a store or you can also buy the Orange SPV E650, Vodafone VDA V, Vodafone V1415 or DOPOD C500 which are the rebranded versions of the S710 phone. CD-ROM with Microsoft ActiveSync 4.5, Windows Mobile Device Center (for Windows Vista) and a 60-day trial of Outlook 2007. 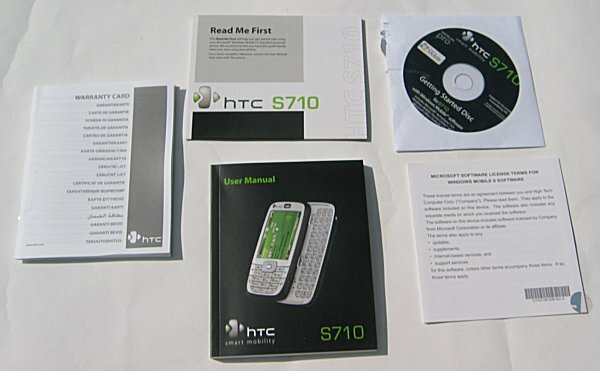 The user manual, read me first, warranty card, Windows Mobile 6 license and CD-ROM with some software. 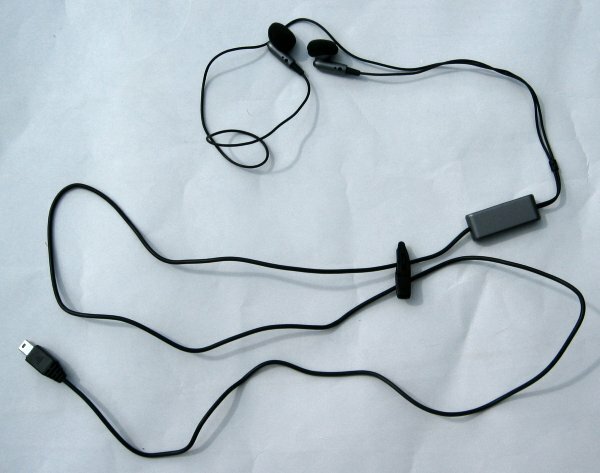 This is the wired headset that ships with the HTC S710 phone. You can use it to call or to listen to MP3s stored on your phone. The plastic grey thingie features a volume control slider and a button which has three functions: you can use it to pick up a call, to put a call on hold or to end a call when you press and hold it. The sound quality of the wired headset is OK. I tested it by listening to a few MP3s and while the quality isn't top-notch it's definitely better than I expected. Reach a new level of phone functionality with the new Microsoft Windows Mobile 6.0 software. Compact with full auto slide keyboard for simpler communications. Large 2.4” QVGA TFT LCD backlit screen. Make more of multimedia with Windows Media Player and Windows Live. Capture quality images and video with the 2.0 megapixel camera.